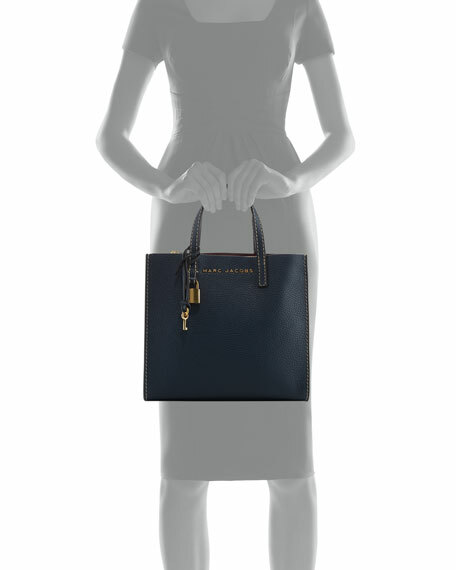 Marc Jacobs pebbled leather mini shopper satchel bag with golden hardware. Flat shoulder straps with padlock and hanging key. 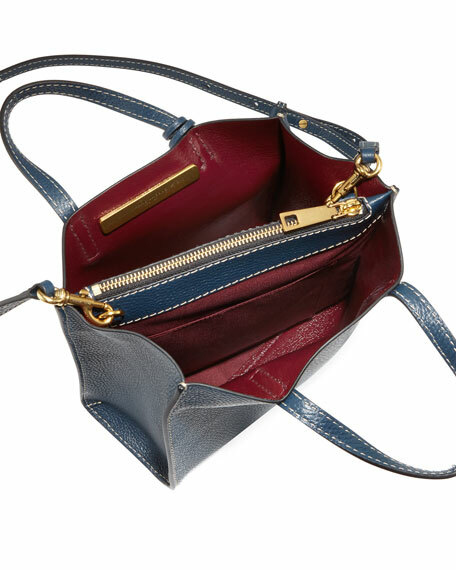 Open top; center zip pocket divides interior. Exterior, logo lettering at front; contrast stitching. Interior, unlined; one card slot; logo plaque. 9.1"H x 8.1"W x 3.9"D.
For in-store inquiries, use sku #2370959.